A number of forest officials are behind an elephant in the news for the last few days in Tamil Nadu, as the government supposed to safeguard its forest and habitat, allowed private parties, including Jaggi Vasudev to encroach it. One of the major news flashes for the last couple of days, almost in all media in Tamil Nadu, is about "Chinna Thambi", a 25-year-old elephant. The reason behind this is the day by day increasing voices supporting the elephant which is roaming around Thadagam forest area in Coimbatore district at present. What is the Reason for These Supportive Voices? There were two wild elephants named Chinna Thambi and Vinayagan freely roaming around the forest area engulfed by the forest offices on January 25, 2019. The elephant Vinayagan was transferred to another nearby reserved forest area, Mudhumalai, while Chinna Thambi was taken to a distant forest area Topslip. Within a week, it returned to the Thadagam forest area where it had been residing since childhood. The elephant has never attacked any one till now, yet, there are more than 30 forest officers camped at Thadagam forest area in order to catch him. Even though the forest officers had been intimated about the elephant issue by the local people many times in the past, no proper action had been taken by the authorities. The forest officers mainly focus on catching and moving the elephants to other places, reasoning that the elephant cause ill effect to the local people. But they never dig out the root cause of the problem. Many facts popped up when questions behind the root of this problem came up. Chinna Thambi and Vinayagan are wild elephants born in the area known as Booluvamppati in Coimbatore range. At the time of Vinayagan’s birth, it was a dense forest. However, when Chinna Thambi was growing up, the forest under his habitat had been destroyed. 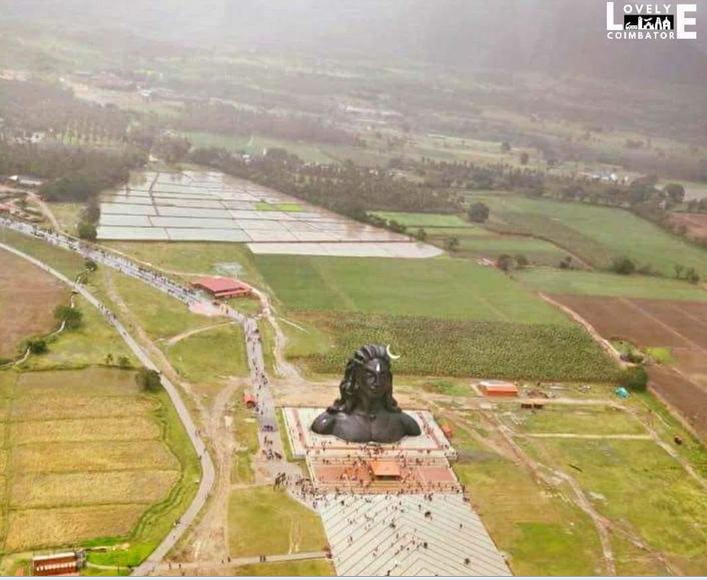 It has been encroached largely by the well-known Adiyogi Shiva statue constructed by Jaggi Vasudev, Karunya yoga and many others. There is another perspective to this issue. The Coimbatore forest reservation area does not only contain an elephant corridor - which the elephants use as a path to walk through - but also has an ambient perfect environment for elephant breeding. Many official committee reports have suggested to declare the Booluvamppati area as a wild life sanctuary, however, the government has never paid heed to those reports. At the initial stage of construction in the encroached area, the local people had protested and demanded the government to stop the construction. They had also explained how the construction will affect the local people's livelihood and will trouble the elephants. But the government officers did not pay heed to the locals’ concerns. As a result of the encroachment, the elephant corridor was disturbed leading to the elephants missing their path and heading to the areas inhabited by people. Soon, the elephants started eating and destroying the crops regularly. Thereafter, the government decided to shift the elephants from their own habitat to other areas. Chinna Thambi’s transfer was part of one such attempt of the forest department. But no one expected that the elephant will return to its earlier place. 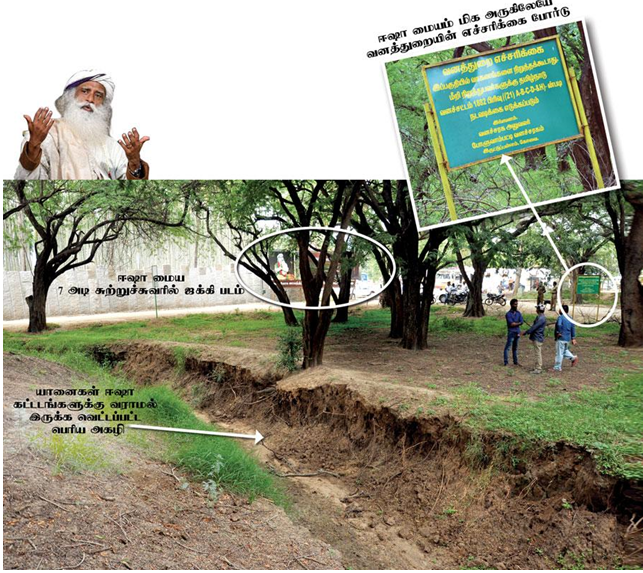 Chinna Thambi’s issue has brought to the fore not just the encroachment of precious forest habitats but many other hidden problems which are never addressed by the responsible authorities. 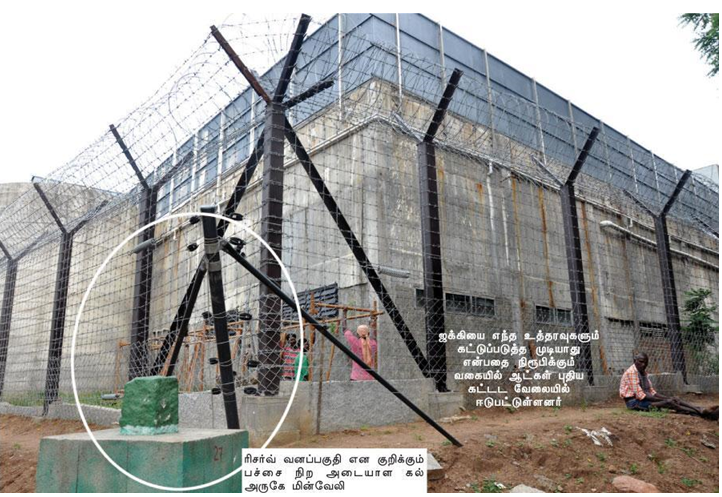 The Tamil Nadu government should take the needful action immediately in this matter. Even though there were strong acts proposed - aiming the preservation of forest and so on- all these acts have been ignored or overtaken. All the buildings which were illegally constructed should be eliminated as soon as possible. That is the ultimate solution not only for this Chinna Thambi issue but the welfare of the ecosystem.